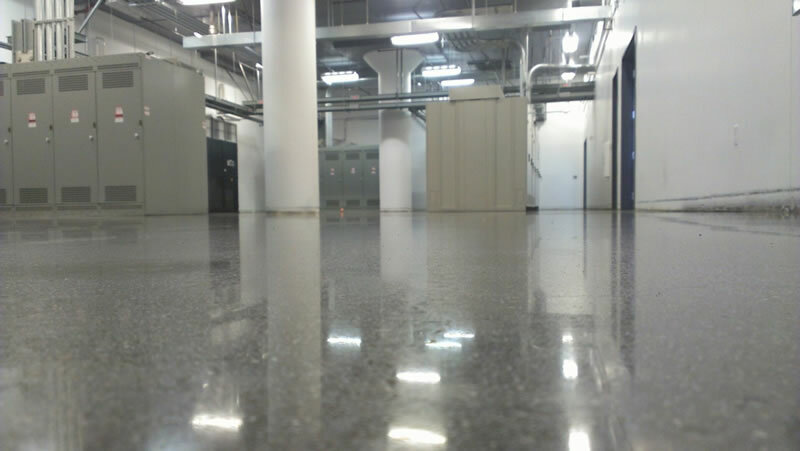 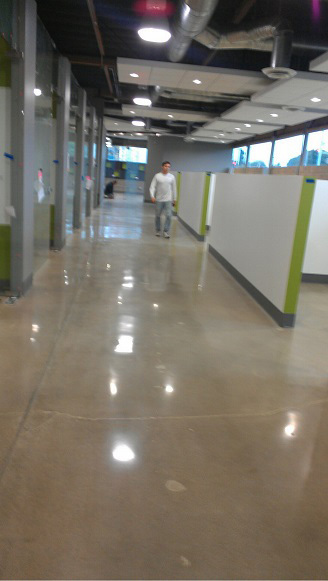 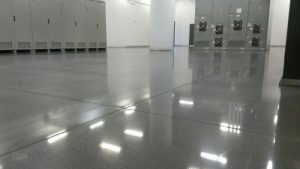 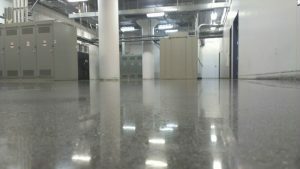 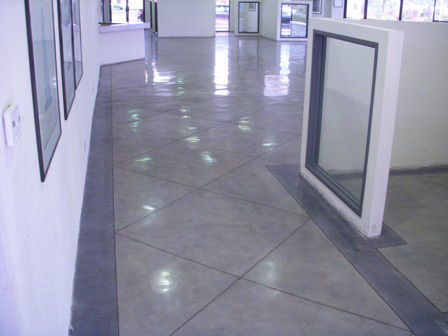 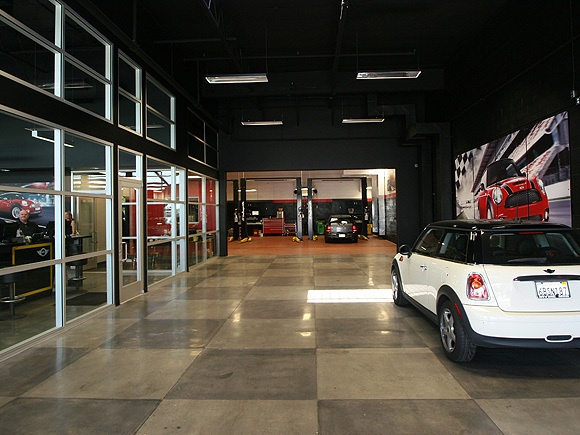 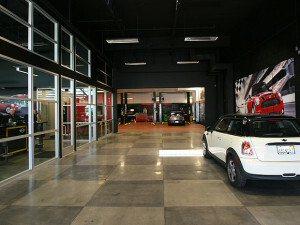 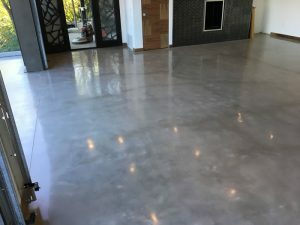 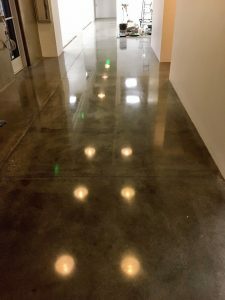 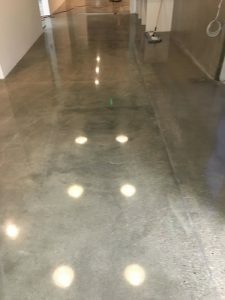 Polished concrete is a durable LEED and Eco friendly flooring option for commercial and residential projects. 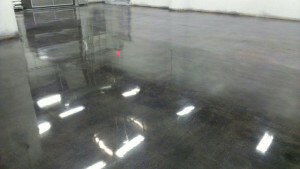 Installation of self leveling overlays, microtoppings, slurry coats and more. 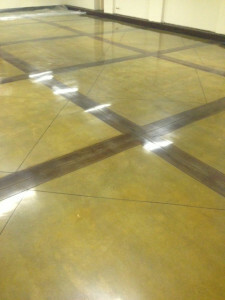 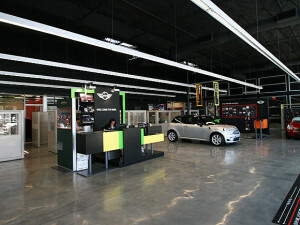 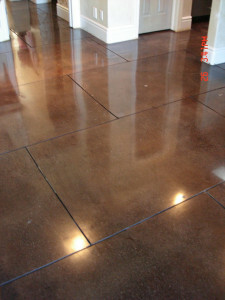 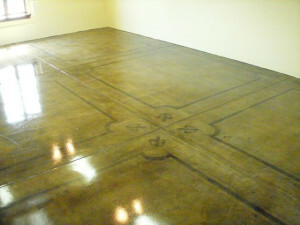 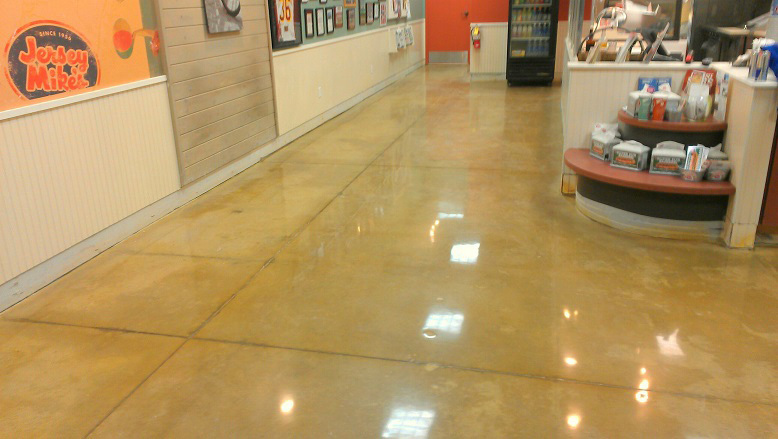 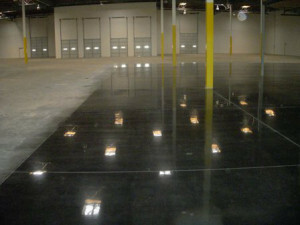 Stained and scored concrete floors, concrete sealing/waterproofing, logos, designs and more. 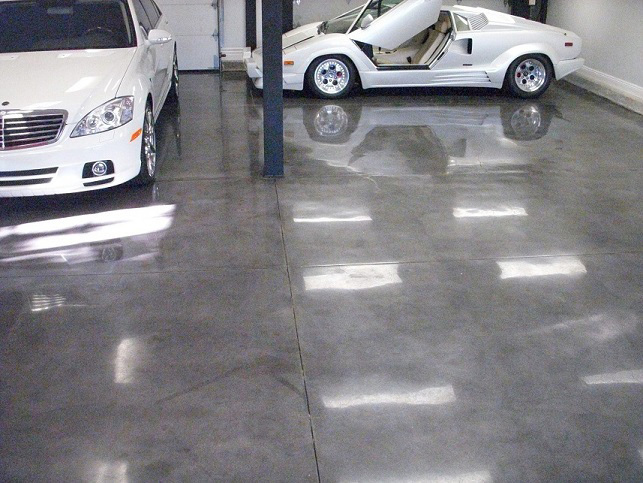 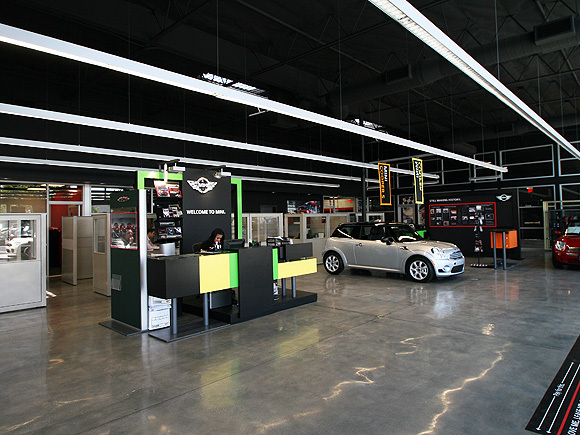 We offer epoxy, elastomeric flooring systems, polyaspartic , garage epoxy, urethane coatings and trowel down systems. Floor leveling to exposed aggregate floors we have the equipment to do the job right. 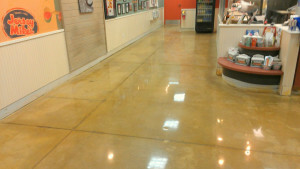 We can remove old flooring, epoxy removal, glue and thin set removal, prep for new coatings and leveling floors. 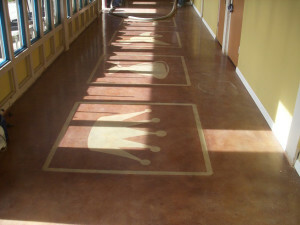 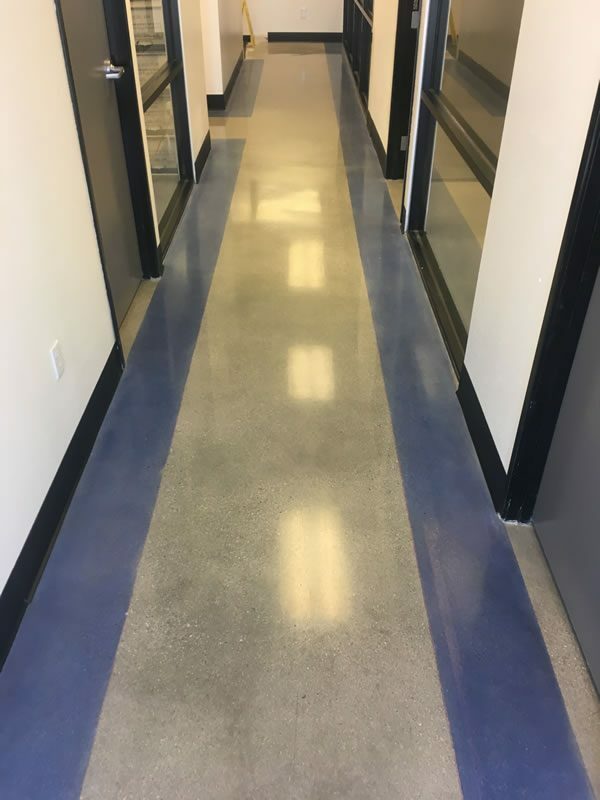 The Kings shine, design, and color for Polished Concrete.